PINE HILL, Alabama – A $100 million, ultra-modern manufacturing facility near this small Wilcox County town has begun turning out copper tubing for heating and cooling systems, appliances, refrigeration units and plumbing. The GD Copper USA plant also is responsible for a completely different kind of product – renewed optimism in one of Alabama’s most economically distressed counties. How GD Copper USA – part of the China-based Golden Dragon Precise Copper Tube Group – landed on a pine-covered 100-acre tract in Wilcox County is a story that illustrates how Alabama communities and agencies can work in unison to bring an economic development project to a successful conclusion. The project returned to the spotlight this week as Golden Dragon Chairman Li Changjie joined Alabama Governor Robert Bentley and other officials at a grand opening event at the plant, which will employ more than 300 people once full production is reached. At first glance, Wilcox County, an area with around 12,000 residents and no direct interstate access, appears a long shot for international investment. Before GD Copper came along, concedes George Alford, manager of the Wilcox County Industrial Development Authority, the county hadn’t had an industrial announcement in more than 35 years. The GD Copper flag flies with the Alabama, Chinese and US flags at the company's Wilcox County factory. But the closing working relationship between Alford and Sheldon Day, the mayor of Thomasville in nearby Clarke County, helped land the deal when it appeared to be lost in 2011. The involvement of Alabama Governor Robert Bentley and state agencies including the Alabama Department of Commerce and the Alabama Department of Economic and Community Affairs (ADECA) kept the project moving on track. “It’s going to be amazing to see the impact of this project down the road,” Mayor Day said. Though production started only recently, the state-of-the-art GD Copper facility already has helped change attitudes about the Wilcox County area and its ability to support industry, Alford said. Both Alford and Day said the area is getting new looks from expansion-minded companies in the wake of GD Copper. “We called it ‘Project Hope’ and it has given the people in Wilcox County hope and showed them that if you stick with something you can make it happen,” Alford added. But it almost didn’t. Originally, the GD Copper facility was supposed to go to a 52-acre site in Thomasville, which had beaten out more than 60 other locations, including places like Dallas and Little Rock, Arkansas. Then GD Copper’s plans changed – the company informed Day that the scale of its project was tripling, making the Thomasville site too small. At the moment in August 2011, Day was meeting with Alford. The two had been working on a plan to develop what today is known as the Thomasville/West Wilcox County Industrial Park at Sunny South, a 274-acre property that had rail access and infrastructure in place. The Golden Dragon engineers happened to be in Alabama that day, and Day produced a map that showed the site near Pine Hill. The new location got the OK from the Golden Dragon officials, and the project had a new Alabama home. State agencies did their part. ADECA, for instance, provided Pine Hill with an $866,000 grant for improvements to its water and sewer system, augmented by $1.8 million in funding from Economic Development Administration. Plus, the Alabama Department of Transportation constructed an industrial road and bridge to serve the project. 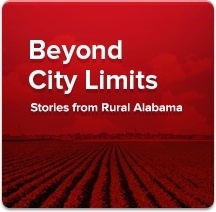 Alford and Day say their brand of regional cooperation can serve as a model for rural economic development across Alabama. Day said improved collaboration between towns that used to slug it out over projects can help rural areas better compete with bigger cities. Alabama Secretary of Commerce Greg Canfield said the Golden Dragon project has provided valuable lessons for the state’s economic development community regarding rural recruitment strategies and workforce training. “It’s a great story for that region, and it will hopefully give us a template to follow,” he told The Montgomery Advertiser. While Golden Dragon is among only a handful of Chinese-owned businesses operating in Alabama, economic development officials believe others will follow and say commercial ties between the state and Asian country are strengthening. For one thing, the City of Dothan in March hosted the U.S.-China Manufacturing Symposium, attracting business leaders and officials from both countries. Governor-led trade missions to China have become common. Also, China is a top trading partner for Alabama. Exports approaching $2.5 billion in value were shipped from Alabama to China in 2013, making China the No. 2 market for Alabama-made products, behind only Canada. In 2003, a total of $355 million in Alabama-made goods landed in China. Alabama’s auto industry has benefited from the ties. Last year, nearly $1.5 billion in Alabama-made automobiles and parts were shipped to China, an increase of more than 21 percent from 2012, according to the Alabama Department of Commerce’s International Trade Division. Plastics and chemicals were other top categories for Alabama exports to China.